We are interviewing Nicole Nauss from the Whistler Centre for Sustainability. The centre is hosting an event this coming week at Squamish Lil‘Wat Cultural centre here in town. It is the 2017 Social Venture Challenge which is “Dragon’s Den style” event that brings together entrepreneurs and judges with the public. If this is your first time on the website or listening to our podcast, welcome. We are Kathy White and Anyssa C. Kathy is a local realtor who specializes in relocating people to Whistler and introducing them to our amazing Whistler lifestyle. She can often be found at the Thornhill offices in Creekside or on Main street if she is out on the mountain biking or skiing. Our mutual goal is to share and connect people (residents and visitors) enjoying ” The Mountain Life” with a focus on Vail and Whistler because of their mutual business and community interests and shared passes available through the Vail Corp. The summer season starts in a couple days and we have survived the wonderful thing we call June-uary. A lot of the service staff has been getting out and enjoying the FAM tours offered by local operators. Anyssa was canoeing last week with ( plug ) on the River of Golden Dreams. And Kathy and her husband have already been out competing in the local mount bike events. One of the best things about the area is the huge amount of high-quality activity, no matter what your interests. From Arts at the galleries and museums, sports activities and skills classes to pretty much anything you would find in a city but surrounded by nature. Kathy: So we want to introduce our guest speaker from the Whistler Centre for Sustainability and her name is Nicole Nauss. Last year in 2016 I had the opportunity to be part of this community venture, which I think aligns well with the Vail resorts which has a center for sustainability as well so the connection between the two resorts in that area is going to be a real strengthening for both our communities. Nicole, could you share with us a little bit about the participants for the 2017 and we also want to find out more about you! Nicole: Yes, of course. Thank you for having me! When you look at her LinkedIn Profile you can tell she has a passion for Whistler and the outdoors. If you look at her professional titles so far you would think she had already lived in the area far longer than her years. I love looking at a Linkedin profile when it is filled in like this. It tells so much about the person. 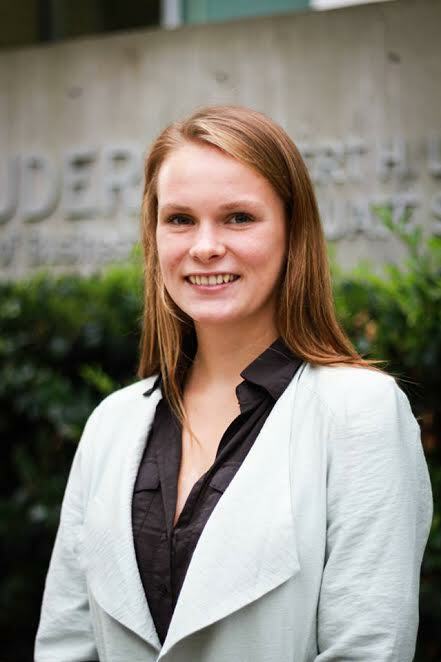 Nicole is a full time UBC ( University of British Columbia) and working towards a Bachelor of Commerce / Marketing and Sustainability. graduation planned in 2018. It is great to see the opportunities our UBC students can collaborate with and blend their education and experience with programs like the Whistler Centre for Sustainability. We all win when lifestyle can be a collaboration with a life’s work and passion. She is the kind of person that inspired us to start this podcast. It isn’t about those that are at the top of their financial game but those that are truly able to explore an epic lifestyle by blending work and play into their life. It is infectious in the best way. I’ve always loved Whistler and my family has always had a cabin always been my lifelong goal is to live and work in Whistler, so I’m studying marketing and sustainability at UBC. It was really a perfect position for me to kind a help out with a lot of different programs at the Center for Sustainability does and I’m also helping out with our environmental charity A.W.A.R.E. up here – that’s a great organization to work for as well. Anyssa: Are you still doing UBC? Anyssa: I ran into someone at my brothers birthday party who is actually working in Vancouver two days a week and then working from home here, it is amazing to see how people are willing to do anything and make things work in Whistler. Brian’s goal is to create a film production company that specializes in producing these Virtual Reality films for and with NGOs, charities and other socially minded organizations for promotion, fundraising, and storytelling. Whether viewed online or in person at a conference or board meeting, the power of this new medium can be seen immediately and is proven to not only create a deep sense of empathy but to also exponentially increase the desire for the viewer to engage with the organization, be that through direct action, online sharing or donations. Bees Knees for Kids will be an Early Childcare Centre for kids aged zero to school age. The business model will be different to childcare centers currently in operation as it will have an option to be set up as either a co-op or with shareholder options (tbc). The business will be social enterprise focused, as it will help to solve the urgent issues facing both parents and childcare staff in the Sea to Sky community. Claudia Schemitsch – Rejuvenation StationI would like to provide a service of healthy meals that are delivered to your door weekly. It would be for families, couples, or single people. I am a holistic nutritionist and I would like the meals to be healthy and super packed with nutrition. I envision the delivery options to include entrees, salads, soups, and healthy snacks. I envision it to be completely dairy and gluten free and there would be a consideration for clients allergies as well. I think the social challenge here is people are busy these days and many do not have the time and/or know how to feed themselves and their family nutritious meals all the time. This gives them an option to have healthy food on hand perfect for those times when there is no more time! I also would love to have an educational component to my business. Perhaps with each delivery there is a nutritional fact of the week. Eventually I would love to have nutrition education classes around cooking. Gearsharehub.com is a peer-to-peer outdoor gear rental website aimed at building connections, reducing consumption, supporting local economies and promoting outdoor activities. Gear Share Hub will build an online community of people with a passion for outdoor adventure that want to save money, meet like-minded people and consume less. Community members will be able to easily and securely list their own outdoor equipment for rent with others through the website. Then members will be able to meet and exchange gear, create new friendships and access new adventures all while making profits and saving money. Blue Mar 4 Change is a Social Enterprise, founded on its commitment to maximize human and environmental well-being. In a nutshell, “For a Brighter and Kinder Planet”. In addition, 1% of all sales support Blue Mar 4 Change Foundation, a Registered Canadian Not For Profit. Through my travels, near and far from home, I’ve seen both beauty and poverty in the world. With every trip I take and adventure out the door, the thing that I see more of, is plastic. We are literally swimming in oceans of plastic. In fact, 8 million extra tons annually. It impacts us all. Blue Mar 4 Change is proposing a new collection. Functional, quirky, planet friendly; products for plastic free oceans. The launch, a lunch box that you haven’t seen before. Ocean friendly, with a unique, kid stamp of approval. Kathy: The wonderful thing about this program is the participants get assistance from business leaders to plan ahead for their future. To really dig down and create a sustainable business plan. Also, they have a business mentor through the program as well which is really encouraging. It is such a dynamic program and I would love to see more communities doing this. The Whistler Centre has community & business development packages, they get great feedback, refine and refocus to enhance each program. So today Nicole will be doing a really special preview to the June 28th event. And maybe she can tell us a bit about that. Nicole: So we are doing the “Angel Den”, as we call it. It’s a practice event for June 28 where they will be pitching their business ideas and have three-minute pitch their idea to a panel of judges. This will help decide who will get the funding to apply to their ventures. So today they get feedback from 3 judges, on how to better deliver their plan. Anyssa: So often when you have a business idea and you have it all planned out in your head, but when you actually verbalize it and have to put up against some other people you know it it really changes when you have to say it out loud and get feedback.. it can really change your own perception. Because if they get a chance to do a little tweaking, and getting feedback can be the difference between failure and success. Maybe Nicole, just as we wrap up our conversation about the upcoming event if you could share with us what did you decide to come and work here? …… it is a perfect position as there are different opportunities and then after the summer, I will go back to UBC..
Kathy: I think, as we always do for each podcast, we share our life hack from each of us. For cross country mountain biking, as I was doing last night, something we should all keep in our backpack, aside from water and a first aid kit is “bug ointment” .. for mosquitos. I have a naturopathic ointment that works better instead of harsh chemicals on my skin. Austrailian Eucalyptus oil and lemon oil mixed together in a small spray bottle. And of course, carry a spare bike tube! Anyssa – For me it would be packaging things. I have a pop-up art studio I am doing and what has brought it together has been “packages”. I found these $1.25 zip up bags that I can separate everything into and label. I live in a very small space right now. So separating things out into packages of what I need so it is there when I need it. Organization.. is my life hack. Nicole – my life hack, would be more about morning routin , like you mentioned last week about apple cider vinegar in the morning, I love to sit on the deck with the Globe and Mail. cozying up with a blanket, a nice big breakfast and the goings on of Canada. My favorite section is the creative arguments and essays. Sometimes they are themed. Anyssa : Thanks for reminding me how much I love our mountain mornings as you can sleep through the blue sky if you aren’t careful. Our next podcast we hope you will come up and enjoy Canada Day for Canada. Congrats to Gord Downy on the Order of Canada as well! Please take time to check out our past interviews and podcasts and some of the great local products and events we have found for you.